Over the weekend, the movie the Wizard of Oz was playing on TV and my mother was reminiscing about how she was so mesmerized by the colorful movie when she first saw it. This inspired me to do some more research on what is commonly (but mistakenly) thought of as the first movie made in color and how it was filmed. 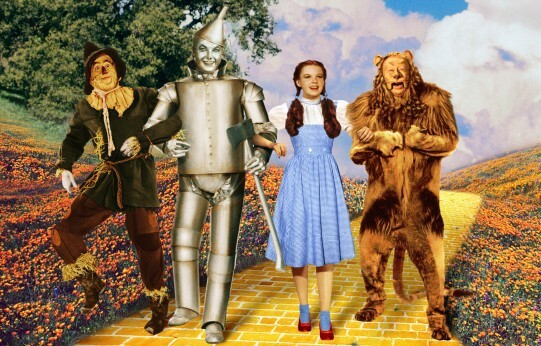 The Wizard of Oz was filmed in Technicolor, which was also the name of a corporation developed by two physics professors from MIT. 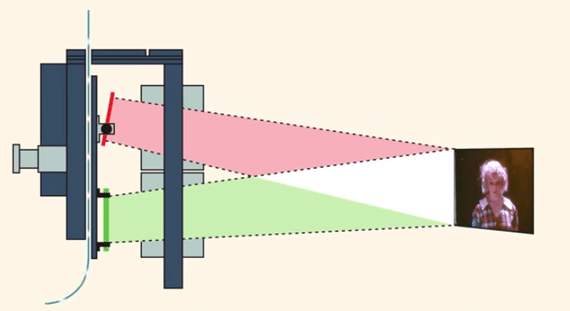 An article from the MIT Technology Review titled The Advent of Technicolor says that in the initial model of the Technicolor camera, it "split the light from a scene to simultaneously expose two adjacent frames on the negative, one behind a red filter and the other behind a green filter. As the film ran through a projector, separate beams of light passed through the identical frames; focused by a prism, they combined into a single color image on the screen." This method ended up being pretty difficult to perfect and inefficient, however it touches on the spectrum of light and the effect on light after passing through a prism. I enjoyed learning about this in physics last year and I hope to learn more about this process in the future. I also included a video that touches on how a modern digital camera works as well as how the human eye works. I can't believe how much I learned and I can't wait to learn more! In Ap psych this phenomenon was called eyesight.